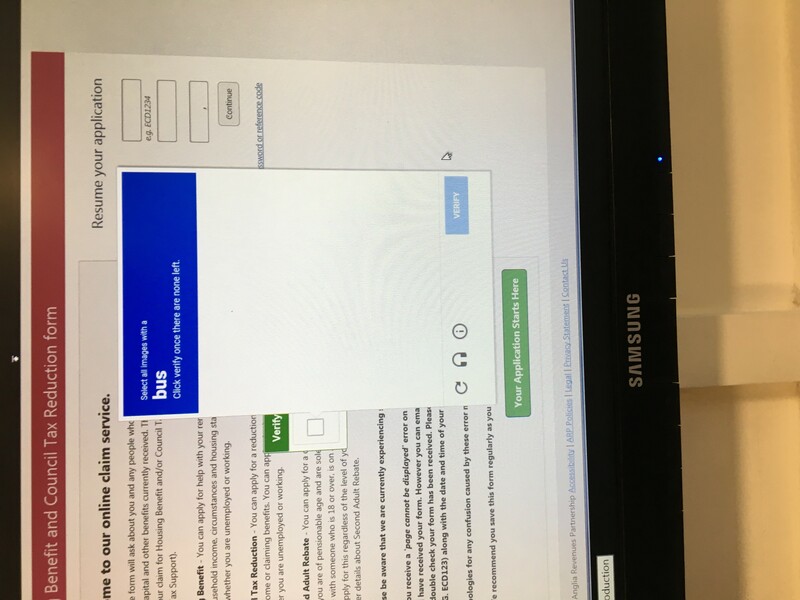 Web page freezes in Kiosk mode when trying to Verify that a user is 'not a robot'. Using IE 11. This works fine outside of Kiosk Mode using IE 11 so I'm pretty sure it's something in the Kiosk mode that is preventing 'Capta' prompts from being successfully answered. For example - tick all of the boxes that contain 'buses' once that's done you click Verify then nothing happens, the browser just hangs. Generally there is no known issue. Please send the following information via e-mail to support-europe(at)provisio.com that we can check this with the current SiteKiosk version 9.6.
after testing it again after a few days (because our developer wasn’t able to reproduce it) it turns out that the Google Captchas now work again in SiteKiosk with Metro IE skin. It seems that Google has changed / fixed it.